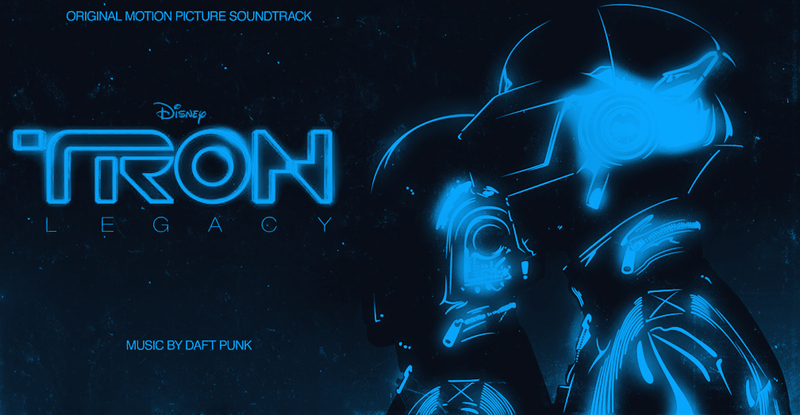 As you know, I really liked the score for TRON Legacy by Daft Punk. I liked it so much that I went around the internet and downloaded all of the exclusive tracks that were provided by different websites. A few days ago I purchased TRON Legacy on Bluray and took some notes as to where all the cues fit into the film. 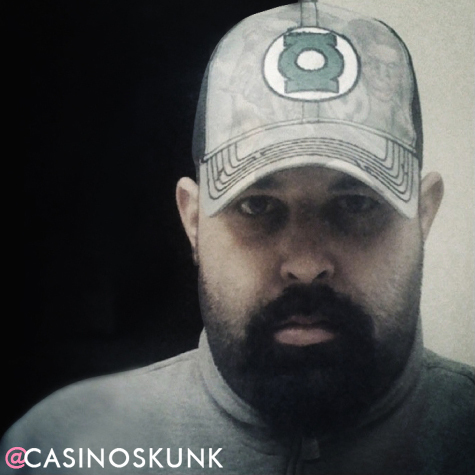 Here is a list of all available tracks placed in chronological order. This is not a perfect list. 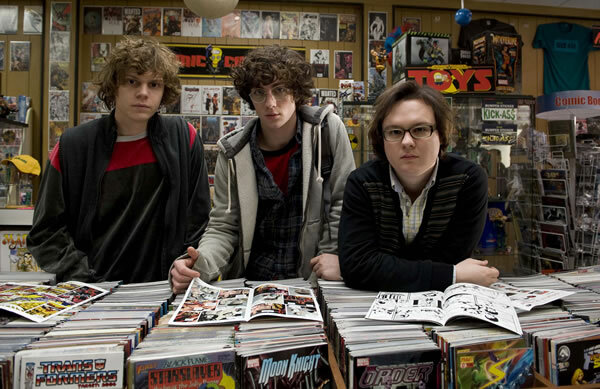 There are some music cues in the film that aren’t available for purchase and some tracks such as “Castor” are split up between two scenes. I have scoured the internet looking for a list like this, but nobody has the answers. So until I see a more comprehensive list, this is the playlist that I am going with, even though I feel that the original album is the best way to listen to this score. ME KNOW  IN THE COMMENT SECTION BELOW. It seems like i have been waiting years for this score to come out! 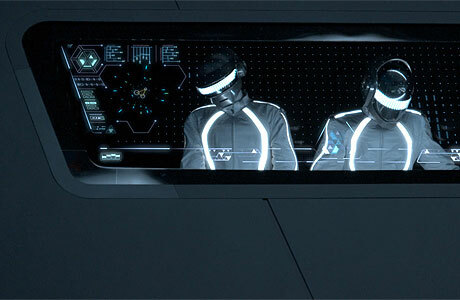 Other than the return of Jeff Bridges, Daft Punk doing the score to TRON Legecy was one of the first bits of news that i heard surrounding the film. One of the main questions i had was if they were going to utilize some of the themes from Wendy Carlos’ original score to TRON. Even though Daft Punk did not utilize or sample any of the original score, they did honor it by including some gothic elements. 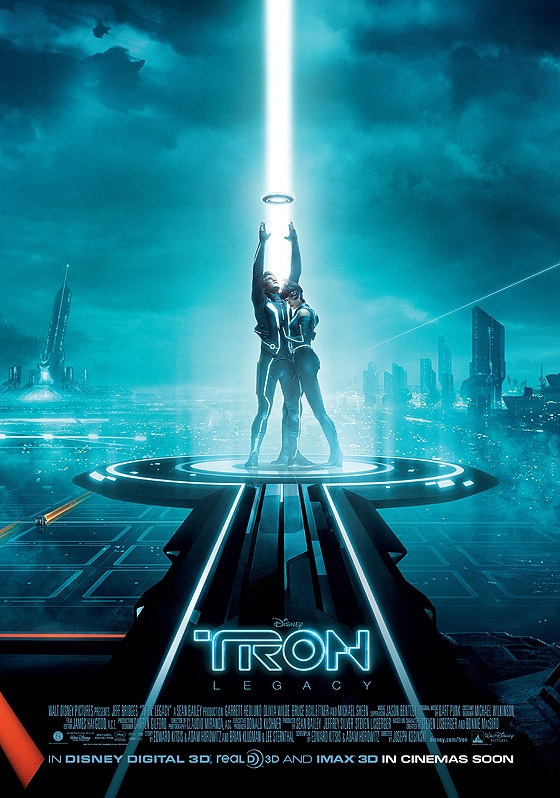 Daft Punk’s score to TRON Legacy is unlike any other score i have heard. The best way i could describe it is a mix between, Vangelis’ score to Blade Runner, mixed with Watchmen and a dash of The Dark Knight. 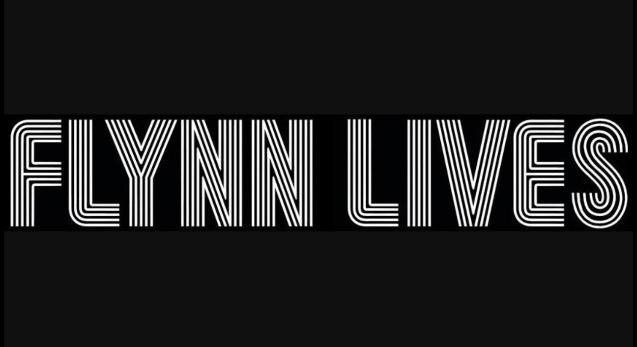 It is atmospheric, heavily electronic and surprisingly orchestral. The best part about the soundtrack album is that it looks like Daft Punk spent a lot of time into creating the track list to make a really great album. I am not sure if the tracks are listed in chronological order, but they flow great as an album. Being a fan of film music, i am incredibly pleased with the quality of the score. I am not sure if fans of Daft Punk will enjoy it as much as their previous efforts, but there are a few tracks, like Derezzed, that sound like they were made with the Daft Punk fans in mind. I am not sure if a track like Derezzed will show up in the film, but it definitely stands out from the rest of the album. As much as i loved the album, there is a stretch of 4 songs in the middle that are definitely highlights for me. If i were to explain to you what this score was all about, i would sum it up in the tracks “Adagio for TRON”, “Nocturne”, “End of Line” and “Derezzed”. These four tracks tell a specific story to me. 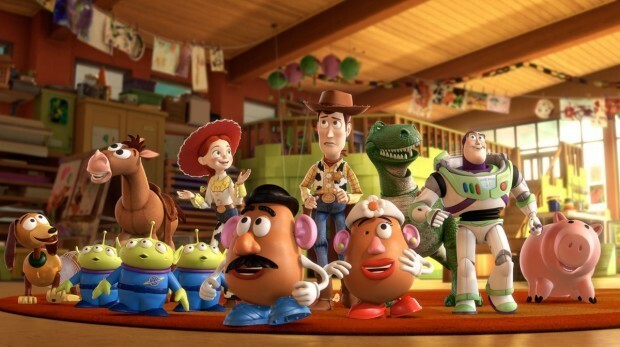 I am not sure how these play out in the movie and i doubt that they show up in this order in the film, but i love how they flow together. Adiago for TRON is almost completely orchestral. Of all of the cues from the soundtrack, this one represents the original Wendy Carlos score the most. There are hints of the original themes and it has a very gothic feel. The music is atmospheric and foreboding. In this scene i can imagine that there is some heavy exposition going on. It sounds like this is the point in the story where the “hero” becomes informed of everything he needs to go before he heads into his final quest. Nocturne is once again very orchestral. When i listen to this i imagine Sam Flynn (the hero) thinking about the quest he is about to go on. This is what i consider his “last supper” music. This is the point of the story where he makes his decision to go ahead with the plan. End of Line immediately follows the orchestra heavy Nocturne. It uses heavy electronics and has a great driving beat. If i were a “hero” and i was about to walk into an incredibly large battle, i would be walking in slow motion to this music. 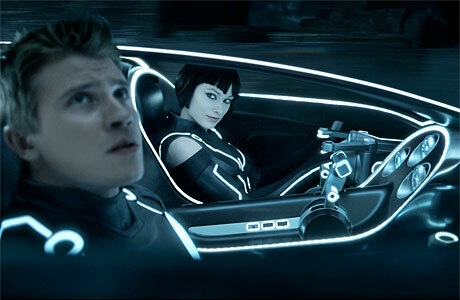 Whereas the original TRON was essentially a gladiator film, TRON Legacy appears to looks more like a western. So this would be the music that would play as Sam Flynn, as the lone gunmen, walks into the ghost town to meet his fate. Derezzed is where all hell breaks loose. 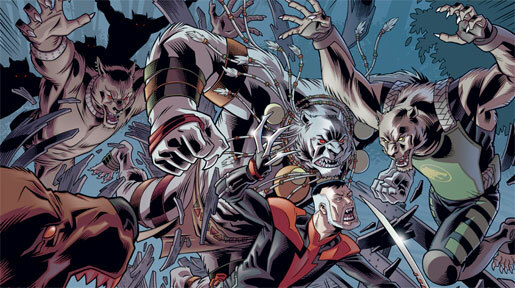 If this does appear in the film, it has to be an incredible action scene with chaos and explosions all around. This would be the gunfight at the O.K. Corral of TRON. This is a really great album for me to drive to! 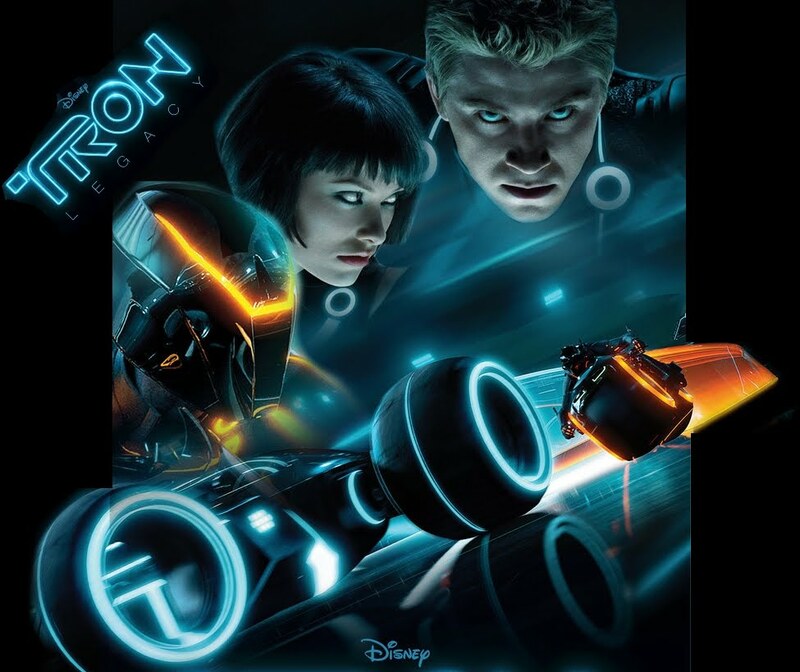 New TRON Legacy Poster and Film Clip! One week ago i attended TRON NIGHT. Below is a clip from one of the scenes that i saw. Check it out below!